In this link you may find Vaastu alterations or recommendations or suggestions to the properties. Don't do any practicals with out any Vaasthu experts advise. Here please observe the East and West directions, the compound gate came to Agneya towards east side, it is also called as Southeast-East (Agneya) door, this is not the auspicious and may be giving danger to the residents activities. The residents always face the troubles, unhealthy, quarrels, financial crisis, unlawful activities, angriness, works cannot go smooth, education spoils, accidents, court cases, litigation etc may happens. To get rid of these troubles there is a very simple modification that we can easily do for the compound wall and house main Doors, please see the below picture. Here the door place changed to Northeast (Eshan) corner towards East side (Northeast door towards east side), this is said to be auspicious door, the inside house door also changed to Northeast (Ishan) corner towards East direction. This door generally may leads to victory, good name, success, good education etc. If resident has done these alterations to the compound wall and House main door, from then onwards (Elders says that one should not say the exact time when the results started) residents experiencing more changes in their life. After doing corrections residents enjoy satisfied life, within a short time. As per our elders voices one should not express the exact time when residents seen the results. One of our NRI, has contacted one vastu consultant in Dallas and that Vastu Expert stated that Eastern Southeast entrance is OK. Later our NRI, found very bad reviews on that Vastu Pandit. Beware of such people who does not have any practical knowledge. Best places to keep water storage tank on terrace? Vastu consultant in California, how to contact them? Can I construct portico at Southwest direction, is it OK? Who is the best vastu consultant in Hyderabad, need help? Constructing staircase at Southeast, become Northeast cut? Is outside kitchen construction is auspicious, which place is good? 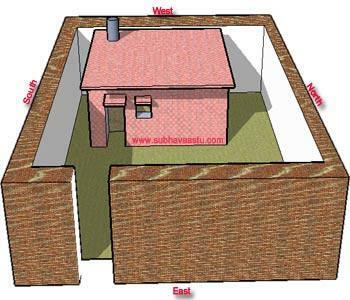 Need to know about good place for Cattle shed in our house premises? Dear Sir/Madam, I may kindly be advised that Is Pooja Mandir shall be constructed with Gopuram at home. If not then it can be repaired since we have already constructed the Pooja Mandir with Gopuram. Kindly advise me to the above e-mail. With Regards. My bathroom is North east direction.pleas e advice for solution. Sir, I wish to know what is the alternative place to have pooja room in a house other than North East. Kindly advice by reply e mail Sir. I have a plot of 200 Sq yards west facing. measuring of 40\45. 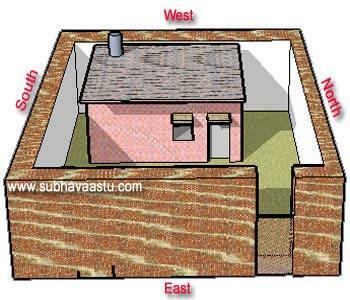 plots in colony are cross, but we constructed house straight here is the problem. Agneyam and vayavya corners are getting more. practically it is correct by measuring, but to see it is more, please suggest me some good remedy for this. We had gone through your web site it is really awesome lot of information providing. dear sir, my kitchen is in north east and a water boring is also in it and toilet is in southwest position ..plz give me solution of this. dear sir, my kitchen is in northeast position and a water boaring is in it. and toilet is in southwest please give me solution of this..